222 pages | 29 B/W Illus. Airline business models continue to be shaped by powerful forces relating to customers, complexities and regulators. However, at the same time, there are emerging technologies that can help airlines cater to the needs of their changing customer bases and manage the complexities of the business. In his previous books, Nawal Taneja has deliberated on these forces and how the airline industry is poised for disruptive change that could come from within or outside of the industry. He also discussed the point that the airline planning systems and process in use are neither contemporary nor sufficiently integrated to meet the changing needs of customers who now are looking for outcomes, not products. 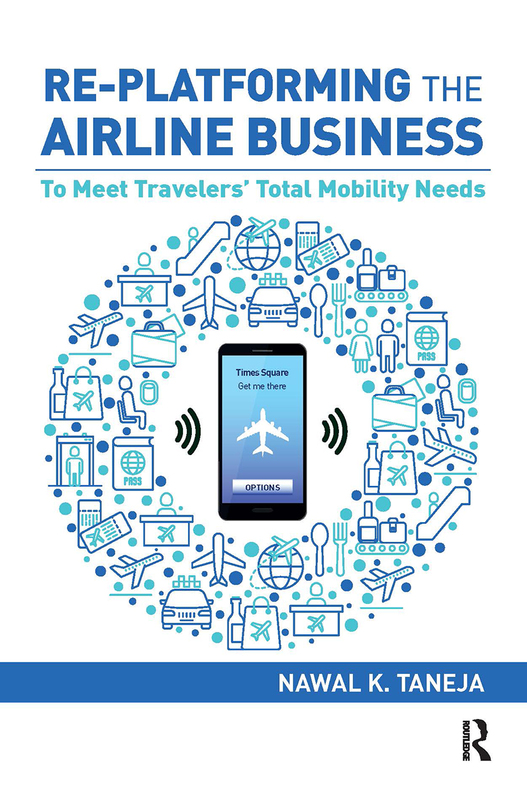 In Re-platforming the Airline Business: To Meet Travelers' Total Mobility Needs, Taneja not only reiterates the need for transformation of the airline business but provides a map of the transformational process. This book proposes that different sectors of the aviation industry, particularly airlines and airports, should consider using not just a wide array of technologies (Artificial Intelligence, biometrics, blockchain, and the Internet of Things), but also specifically-designed customer-centric platforms to make informed decisions and to develop and implement transformative strategies to meet travelers’ total mobility needs. These technologies and platforms can enable airlines and airports to achieve scale and scope as well as agility and flexibility (through strategic partnerships) to offer intelligently aggregated travel-related services right now. Subsequently, they will enable various members in the travel chain to provide solutions to travelers’ global mobility requirements, effectively and with better experiences. A New Revolution in the Air Travel Industry, Chuck Evans, Vice President, Marketing, Communications, Business Development, Terrafugia, Inc.
Nawal K. Taneja, whose experience in the aviation industry spans almost five decades, has worked for and advised major airlines and related businesses worldwide. His experience also includes the presidency of a small airline that provided schedule and charter service with jet aircraft and the presidency of a research organization that provided consulting services to the air transportation community throughout the world. On the government side, he has advised worldwide Departments of Civil Aviation, Finance, Economics, and Tourism in matters relating to the role of government-owned airlines and their management. Within the academic community, he has served on the faculties of the Massachusetts Institute of Technology (as an Associate Professor) and at Ohio State University (Professor and later as Chair of both the Department of Aviation and the Department of Aerospace Engineering).